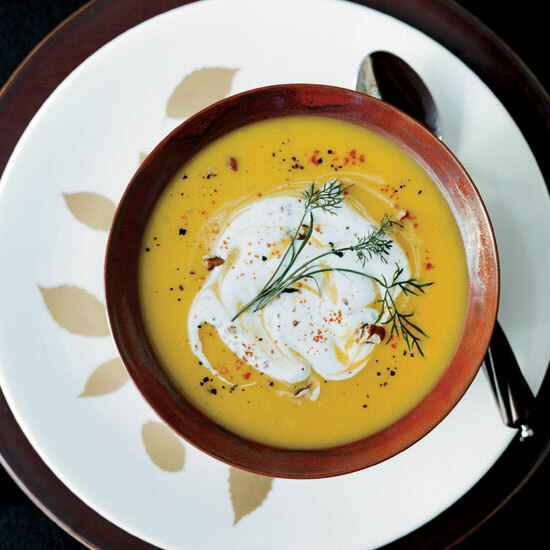 From gingered butternut squash soup to curried carrot soup, here are delicious vegetarian soups for Thanksgiving. 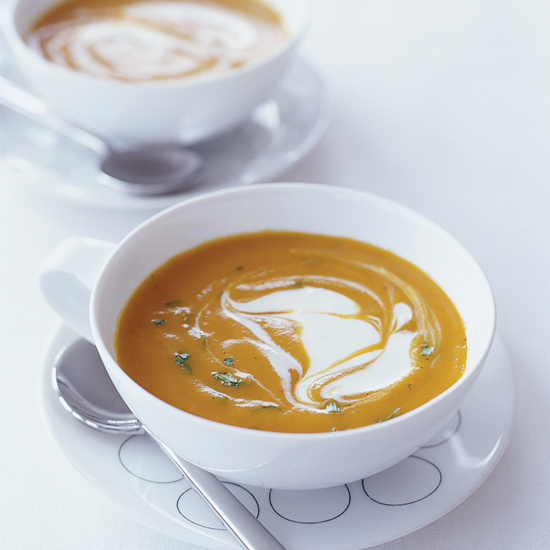 To make this healthy soup especially tasty, Naomi Pomeroy cooks the carrots with Madras curry powder, ginger and garlic. 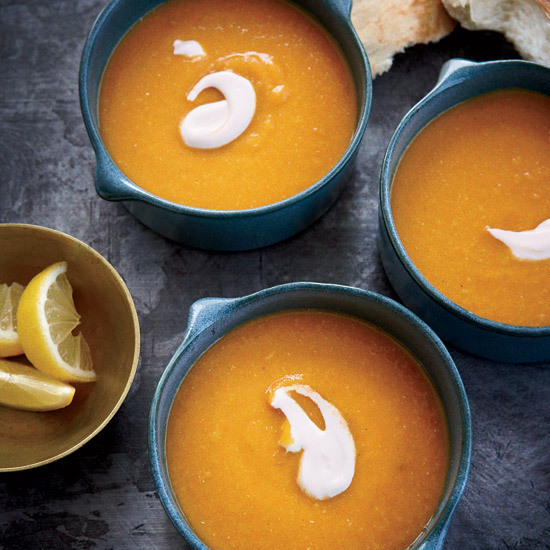 Before serving, she adds a little bit of Tabasco sauce and a drizzle of tarragon-infused oil. 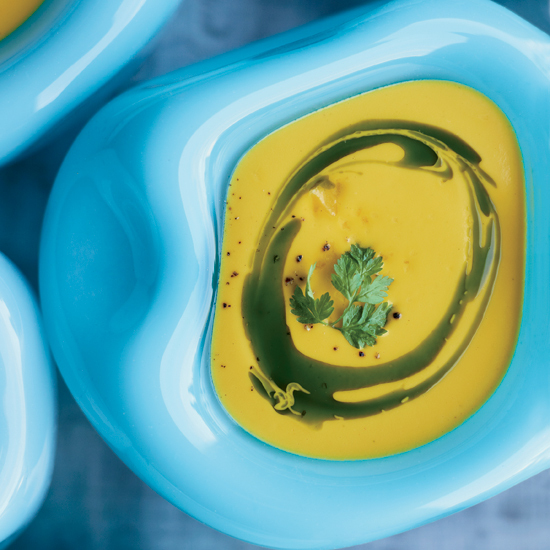 Known as shorbet ads, this vividly hued lentil soup is very popular in Egypt. 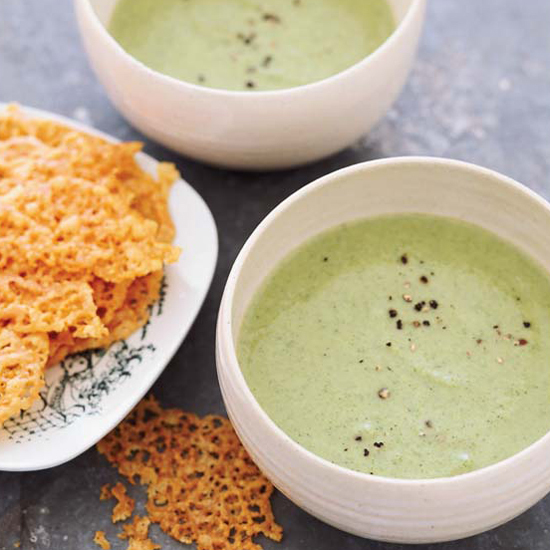 For an ingenious twist on the classic combination of broccoli and melted cheddar, Barbara Lynch serves a warming broccoli soup with cheddar crisps. 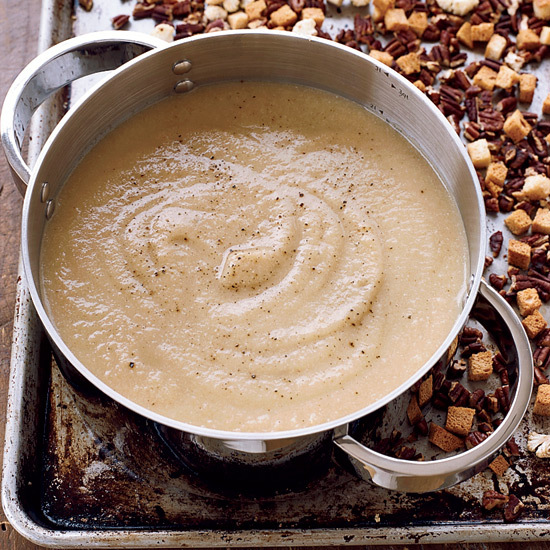 The soup is equally good with cauliflower or celery root in place of the broccoli. 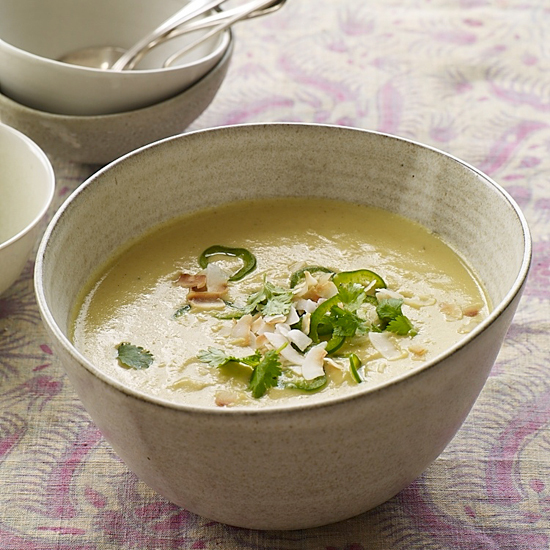 Chef Annie Somerville thickens and enriches her fragrant vegetarian cauliflower soup with unsweetened coconut milk. 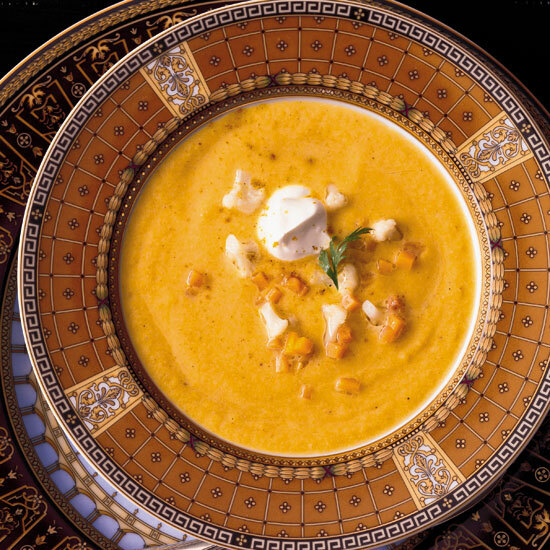 The thinly sliced jalapeño served on top adds a bright, fresh heat that’s delicious with the warm curry spices and sweet roasted cauliflower. 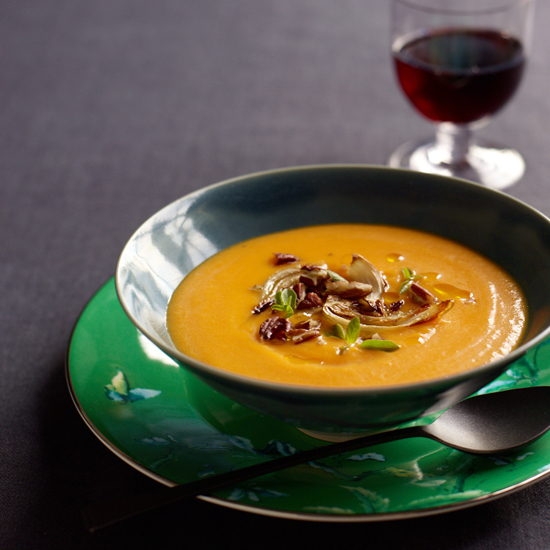 Chewy flat breads with roasted garlic are a perfect accompaniment for this thick and velvety soup. 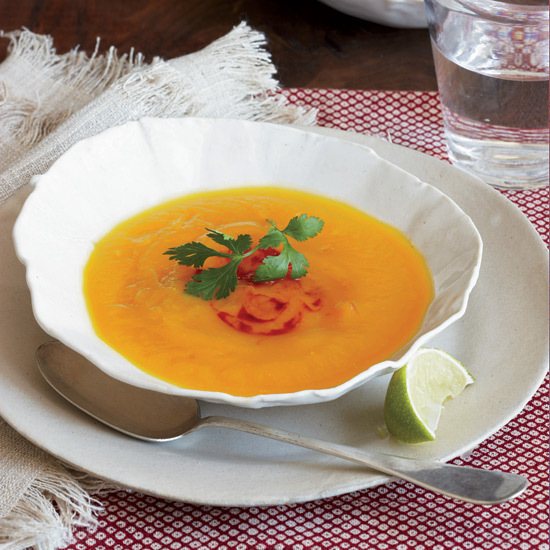 The soup uses only one cup of the ginger broth; the rest makes a terrific cooking liquid for grains like quinoa.